Our team comes from a variety of different backgrounds and disciplines. Each of us has a unique perspective on what should be on a personal website, but agree everyone should have one. Our service requires an understanding of education, human resources, recruitment, and career development. Of equal importance is a solid understanding of the underlying technologies and platforms we are and will utlize. Between internal staff and partners, we have a capable team to deliver an effective personal website service. 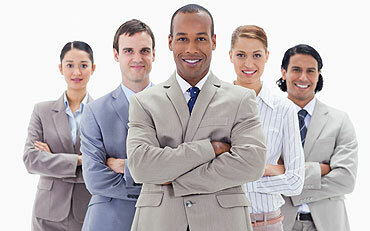 Our mission is to provide the best service we can for a person as they navigate through their career. We will incorporate the latest technologies and interfaces to administer and display the personal website. We listen to our customer's feedback so our service continually evolves into something better. Our strong belief is that a person owns their personal website. We guarantee that we never take ownership of your content, provide it to a third-party without your consent, and protect your copyright privileges. Our on-going commitment is to provide a platform with all the functionality to represent the 'best you' on all levels and points in your career. A personal website is useful when you are actively or passively seeking employment. It acts as a centerpiece of your personal brand. It is something you should have throughout your career. It all started when I pulled my brother's tag from a hat for our family grab-bag and I had to give him a gift. He has traveled extensively around the world, so I was going to build him a website to share his travel experiences with stories and images. However, he preferred having his own professional website to help promote his work for non-profits. Of course, I tried taking a short-cut by using a platform from an existing web service. I could not find one – there was not a web service with the functionality we needed. This is when my brother and I knew we had an opportunity to be innovative by designing a personal professional website service. This was back in 2010. In the intervening years, our personal website concept has evolved considerably. We have analyzed potential competitor web services: an online resume (or CV ), a professional profile, a portfolio, or simply a personal website. And we are always coming up with new functionality or utility for a personal website. It is our belief that just about everyone should have a personal website and it should act as the centerpiece of an online personal brand.